Bee Builders Ltd have been successfully working within the Glasgow and surrounding areas since 2000. 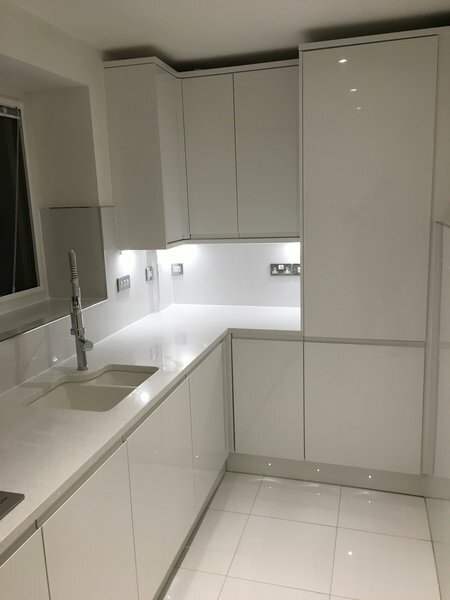 Fully fitted kitchens and bathrooms. Landscaping and Design (patio, decking, fencing, artificial grass and many more... ). With expert always on hand to provide help and advice, we offer you the design, planning and installation, whatever the size of your space or badget. We always provide punctuality and high quality work. The majority of the work is repeat business and recommendations from existing customers. 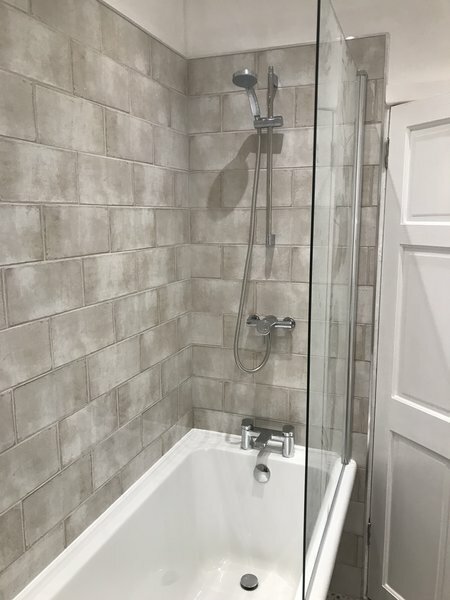 Beautiful job of renovating an old and somewhat cramped shower room! Victor and his colleague worked hard to successfully remove old and unsightly pipework and electrics, and hide the replacement services from view. 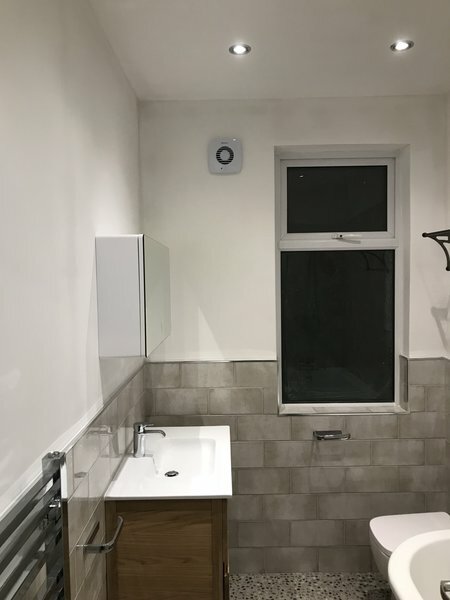 They successfully repaired the rotten joists and floor which were revealed when the old shower was removed, and managed to complete this and the rest of the work within their original timetable. The tiling etc. was done to a high standard and we are very pleased with the end result of their labours. A bonus was their pleasant attitude and helpfulness! From the first visit to survey the work to the completion of the job Victor was polite, professional and very helpful. 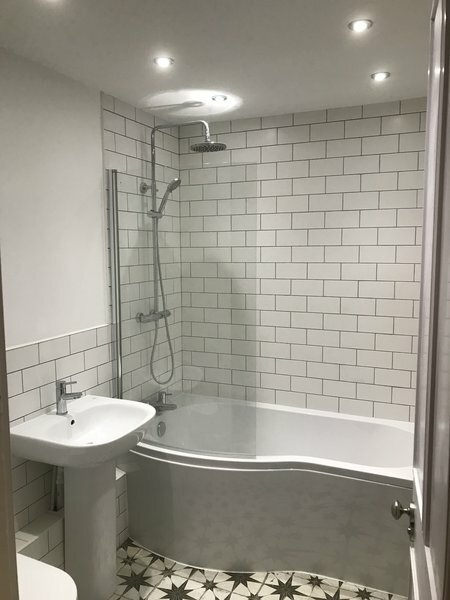 The work involved renewing our bathroom, (installing a shower unit instead of a bath) and the work was carried out very professionally and quickly and I have no hesitation in highly recommending Bee Builders. I do not envisage any problems but feel confident that should any arise they will be dealt with in the same helpful, professional way. His work has been outstanding and I would absolutely recommend him without any hesitation. Excellent Work completed by ‘Bee Builders’. I chose this company to refurbish my flat due to 1) Recommendation. 2) Prompt reply to my query. 3) Polite and respectful plus a quick estimate . Victor and his team were very, very busy bees due to the huge refurbishment of my flat, this involved, new central heating, electrics checked and meter moved. Designing and installing of kitchen and bathroom. The list still goes on, nothing was a problem or issue, whatever I wanted, that's exactly what I got. Victor's customer service is excellent and the work ethos is phenomenal. Summing up, there was no sting and that the guys who tackled my refurbishment were tidy. I was fortunate to get Victor back to fit my bathroom, having done a fantastic job on my kitchen. He has transformed my tenement bathroom. 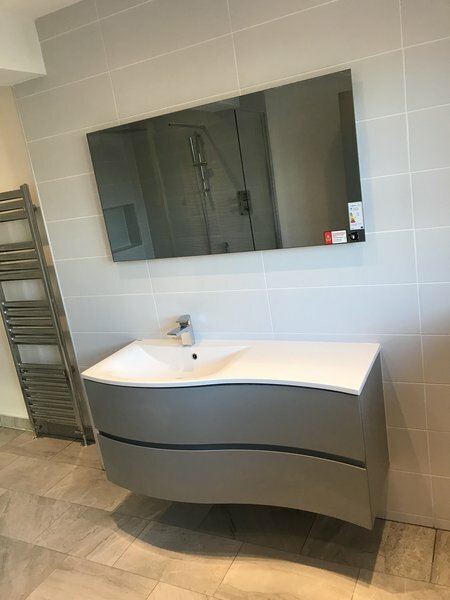 He fitted a floating sink, new toilet, freestanding back to wall bath, floating cabinet, mirror cabinet, fitted modern towel rail and thermostatic shower. He tiled walls and floors to very high standard. He also lowered the uneven ceiling fitting extractor and low voltage lights. 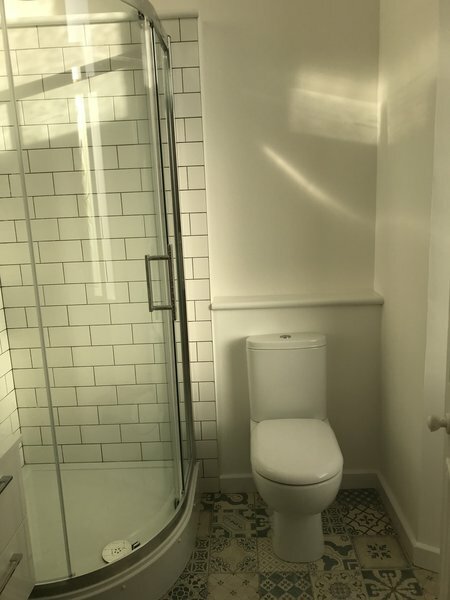 I have been left with a bathroom that is beatifully finished at a price that was much cheaper than I was quoted elsewhere. He went the extra mile moving an unsightly mains pipe to behind the toilet. I can not recommend him enough if you’re looking to get your bathroom upgraded. He has highlighted that you can achieve a functional modern bathroom even within relatively confined spaces. Victor was fantastic from the first phone call until the day he finished the job! On a personal level, he is well mannered, punctual, reliable, trustworthy and very reasonable. He completed a full renovation for us, including a kitchen refurb, painting all walls, replacing doors, fitting laminate floor and tiling. He also did some extras like putting up light fittings and curtain poles. His work is of a very high standard, with a very good finish, I really couldn’t fault him. He even cleaned up afterwards. A real gentleman, I would highly recommend him, can’t thank him enough. Kitchen (5x4m) ceiling badly water damaged. Victor provided a very acceptable quote by return, started a couple of days later and within 3 days the ceiling & coving was completely removed and replaced, painted and finished, including some additional lighting. He also patched some holes in the wall and repainted them to match the ceiling. All waste was removed and the kitchen cleaned up when they finished. Brilliant professional, always on time. I'll have absolutely no hesitation in using his company again.